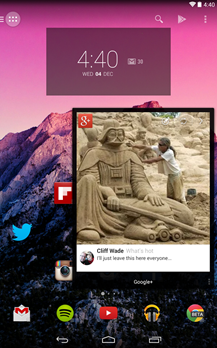 • Android’s unique and powerful action bar is fully integrated into your desktop. 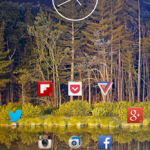 • All of the settings you expect from custom launcher: specify apps to hide, adjustable number of home screen pages, grid sizes, page margins, dock toggles, lock desktop, resize any widget, etc (some features require Pro). • Detect valid Pro key instantly. 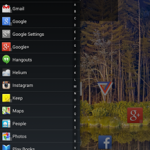 • Improve importing from other launchers. • Stability & bug fixes. • Quickpage: a fully featured home screen accessible from the right edge of the screen. 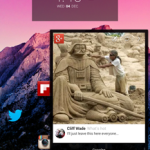 • 1-Swipe: access the Quickdrawer and Quickpage from any app, whether Action Launcher is running or not. 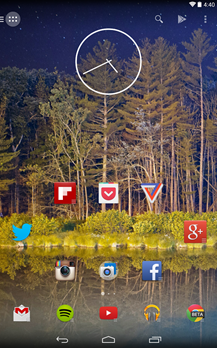 • Use Android 4.4’s dock & folder style. 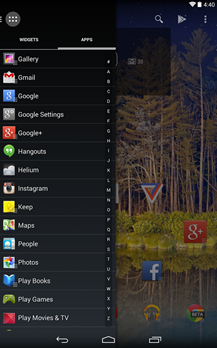 • Translucent status & navigation bars (requires Android 4.4).